Welcome to the site of The National Academies of Sciences, Engineering, and Medicine study, The Potential for Biotechnology to Address Forest Health, focusing on trees and considering the use of biotechnology to prevent the extirpation of a single tree species by an insect or disease that could have negative consequences for forest health. 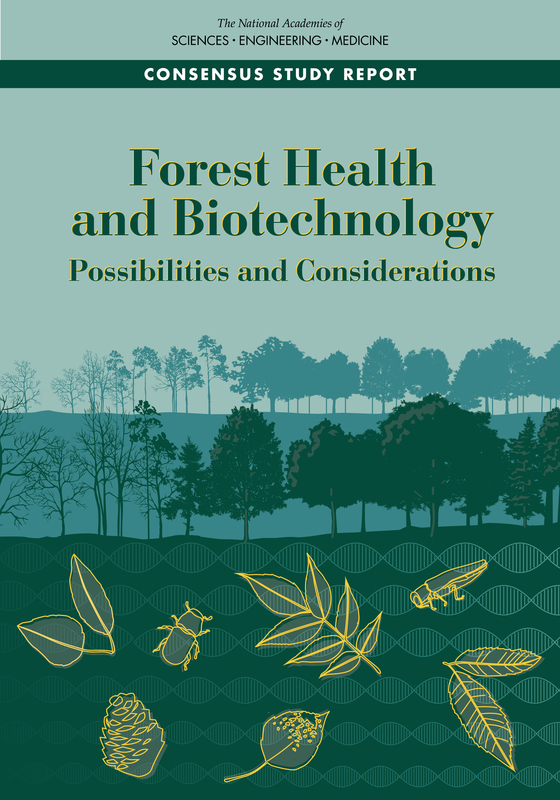 A committee of experts was asked to examine the potential use of biotechnology to mitigate threats to forest tree health; identify the ecological, ethical, and social implications of deploying biotechnology in forests, and develop a research agenda to address knowledge gaps about its application. Funding for the study was provided by The U.S. Endowment for Forestry and Communities, U.S. Department of Agriculture – Animal and Plant Health Inspection Service, U.S. Forest Service, U.S. Department of Agriculture – National Institute of Food and Agriculture, U.S. Department of Agriculture – Agricultural Research Service, and U.S. Environmental Protection Agency.